Combine 1 tablespoon soy sauce with the cooking sherry in medium sized bowl. Cut chicken into bite-sized pieces, put chicken pieces in soy/sherry mixture. Let sit while you prepare the other ingredients. Drain chicken in strainer to get the marinade off as much a possible. Heat oil in a wok over high heat. Add red pepper flakes to oil,stir a couple times. Add chicken all at once, let sit for a minute or two till golden,then turn chicken. Add garlic to chicken. Cook chicken till golden on all sides and cooked through. drain oil if there is still an excessive amount. Add cashews. Move wok off hot stove and immediately pour in sauce while constantly turning chicken over to cover everything in sauce. Sauce should thicken quite a bit, if you want it thicker put it back on medium heat for about 5-10 seconds, and stir, stir, stir. Sprinkle toasted sesame seeds and add sliced green onions. Serve over Rice. ENJOY! Preparation: Preheat oven to 375. 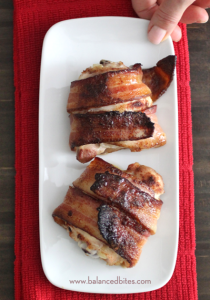 Sprinkle the chicken thighs with 1 tsp of Smoky Spice Blend, then wrap each one in 2 strips of bacon. 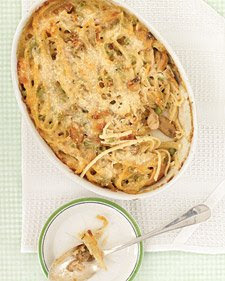 Sprinkle with the remaining Smoky Spice Blend and bake for approximately 40 minutes. Enjoy! 1. Put chicken in slow cooker and sprinkle with spices. 2. Pour salsa over the chicken. 3. Cook on low for 7-8 hours (check after 5 as temp can vary a lot) until tender. Shred with forks before serving. 4. When done, let cool slightly and serve over salad with desired toppings or use alone. Put all ingredients (besides cheese) in a crock pot. If desired, add more water if you want a thinner consistency. Cook on medium heat for at least two hours-good all day. Top warm soup with cheese, and let it melt. (Really good in a sourdough or french bread bowl.) Serves about 6-8. Chop onions, peppers, carrots, and celery. In a soup pot cook vegetables in chicken broth until tender. Add the butter. In a small bowl, mix the flour with a small amount of water to make a paste. Gradually mix the flour mixture to broth mixture, stirring constantly. Simmer until thickened. Stir in the milk, pimento, parsley, and chicken. Heat but do not boil. Serve over rice. Cut chicken into cubes. Mix chicken and taco seasonings. In a skillet brown chicken in oil. Combine salsa and preserves; stir into skillet. Bring to a boil, reduce heat, cover, and simmer for 2-3 minutes. Serve over rice. While chicken breasts are cooking, make Spanish rice according to instructions on box. In a bowl, mix shredded chicken, rice, beans, olives, and enchilada and tomato sauces. Next, in a 13-x-9” dish, layer 3 flour tortillas on bottom (they will overlap). Spread 1/3 of mixture on top, then top with layer of cheese. Repeat above, 2 more times. Bake at 350 degrees for 30-40 minutes. (Really good with tropical fruit salad—pineapple, mandarin oranges, grapes, and strawberries.) Serves 6-8. Boil chicken and shred it. Mix with shredded cheese, salt and pepper. Mix sour cream, cream of mushroom soup, and chilies, set aside in separate bowl. Spread some sauce on bottom of baking dish. For enchiladas, spread some sauce on inside of each tortilla, add some chicken mixture, and roll up. Place enchiladas in pan. Top with remaining sauce and sprinkle some cheese on top. Bake, covered with foil at 350-375 degrees. Cook until heated through and bubbly. Remove foil for last 10 or 15 minutes.